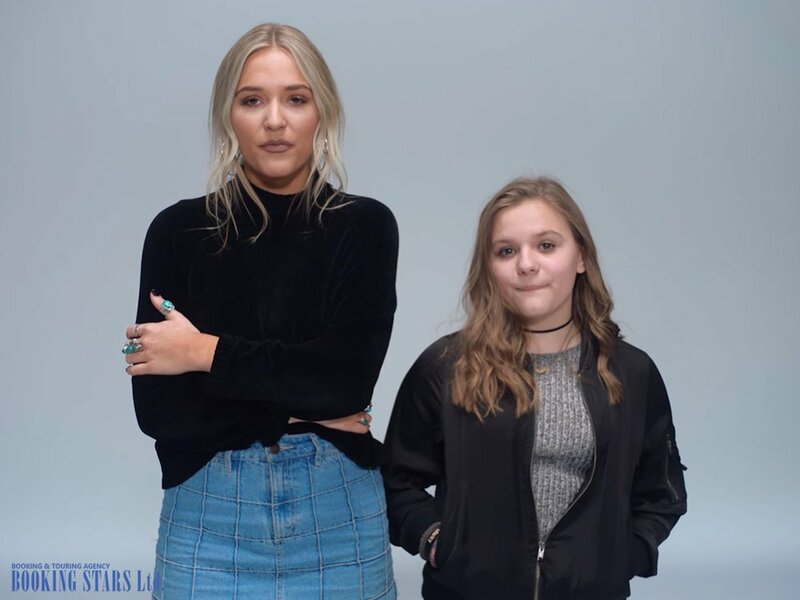 Lennon & Maisy is a Canadian country duo consisting of two sisters, Lennon Ray Louise Stella (born in 1999) and Maisy Jude Marion Stella (born in 2003). Even though both girls have impressive vocal talent, they achieved popularity while acting in a musical drama series, Nashville, aired on ABC and CMT. The series ran from 2012 until 2018. It described the lives of fictitious country singers in the USA. The future celebrities grew up in a family that worked in the music industry. Their mom is a singer while their dad is a songwriter. Both are a part of a country duo The Stellas. That’s why both Lennon and Maisy spent their childhood learning how to sing, play musical instruments, and work in the show business. Their parents worked hard to educate the girls. For example, Lennon got her first guitar for her 5th birthday. Her father taught the girl how to play it well. It’s worth noting that The Stellas never hired tutors for their daughters. They did all the educating themselves. They worked hard to help the girls make a stand in the music industry. Lennon and Maisy grew up in Claremont, Ontario. In 2009, the family moved to the USA to help the girls take big steps toward their music careers. At first, they lived in Nashville, Tennessee and then moved to Brentwood. The key reason for moving from Canada to the USA was to participate in the castings for the TV series, Nashville. Initially, only the younger sister was invited to audition. She dreamed of becoming an actress since childhood. Later, the organizers learned that Maisy had an older sister and invited Lennon as well. Both sisters did a stellar job during the auditions and were accepted to work in the series. Filming began in 2012. That year can be named the beginning of the sisters’ long-awaited music career and popularity. While filming, the girls practiced their vocal skills. To get a work visa in the USA, they had to become an integral part of the country’s music busyness. The singers recorded a cover version of Robyn’s "Call Your Girlfriend" and uploaded it to their social media accounts. Later, they were invited to perform on Good Morning, America. Lennon and Maisy’s channel on YouTube became very popular, collecting over 762,000 subscribers. In 2012, the sisters recorded their debut album, Lennon and Maisy (Live YouTube Sessions) and uploaded it to YouTube. The official release took place in August 2012 when the filming of the series was in full swing. The album featured such popular songs as "Call Your Girlfriend", "I Won't Give Up", and "Headlock". 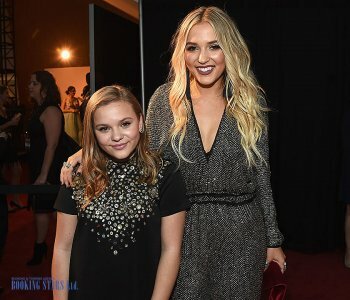 At that time, many organizers tried to book Lennon & Maisy for private events. After the first episode of Nashville aired, the popularity of the singers went through the roof. They presented a hit single “Telescope”. The same year, they recorded one more popular song «Christmas Coming Home", which brought them positive reviews from the critics. In 2013, the sisters released singles "Ho Hey", "Share with You", and "A Life That's Good". All of them were part of their work in the series. The first single became a hit in Europe, reaching high spots on the chart. In the USA, it topped numerous charts, including US Adult Alternative Songs and US Hot Rock Songs. In 2014, the duo presented "That's What's Up" and "The Blues Have Blown Away". A little later, as part of the series, the sisters recorded two more songs "Believing" and "Joy Parade", which became very successful. 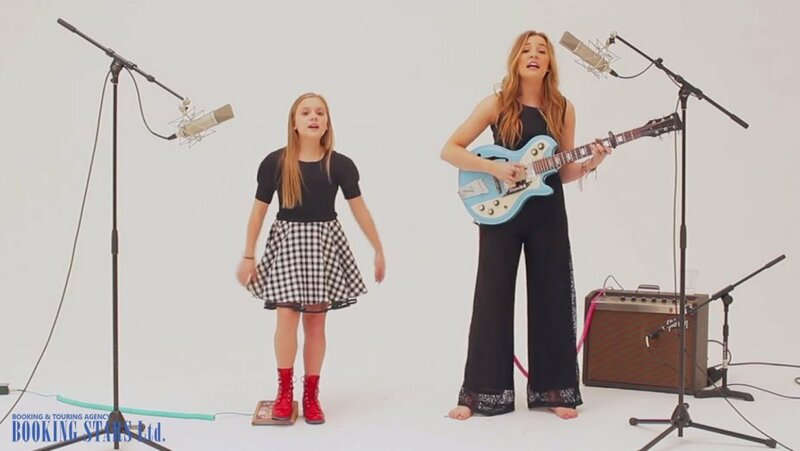 In 2015, Lennon & Maisy recorded “Boom Clap”. It came out in several remix versions. The single became very popular all over the world reaching the top three of charts in Czech Republic, Italy, Scotland, and even Mexico. In the USA, it climbed to the 121st spot of Billboard 200 and reached the top -3 of US Mainstream Top 40. In 2016, the duo got an incredible opportunity to perform at the NHL All-Star Game. In 2017, the girls presented a new single “Sanctuary”, recorded with Charles Esten. In July 2018, when the filming of Nashville was over, the sisters signed a contract with Columbia Records. In November, they presented their first EP, Love, which featured the following songs "Bad", "Breakaway", and "Fortress". 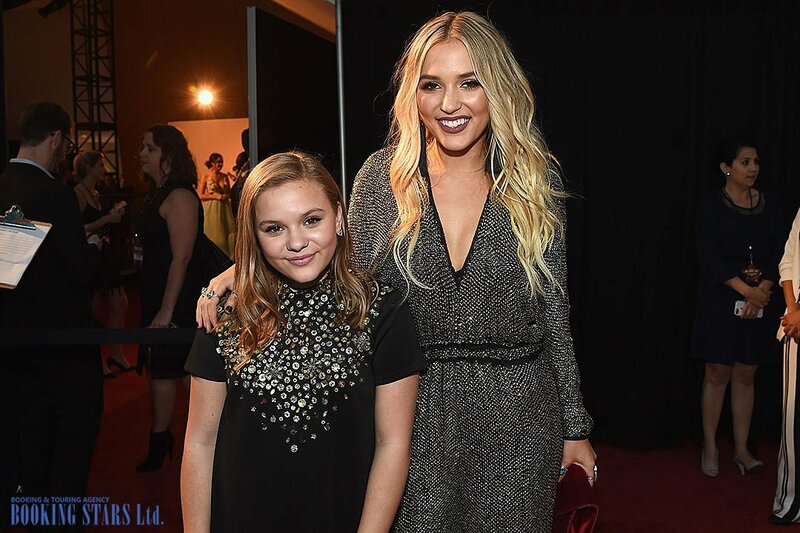 Lennon & Maisy continues recording hits and performing live.